Ricoh Imaging has confirmed that a third-generation digital GR model is on the way. "Although we don’t know whether it will be called ‘GR III’ or not, the study for the development of the next GR is already ongoing. We cannot say when, and how exactly it will be, but the next GR will come someday." The company also stated in the same interview that the development of the Pentax-branded K-series was its priority, and that an APS-C-based model that would succeed the K-3 II was also currently under development. 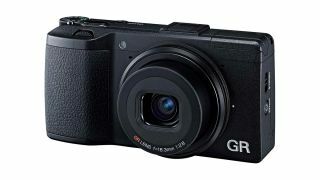 The digital Ricoh GR series has its roots in the film cameras of the same, and the last member was 2015's GR II model (pictured above). A modest upgrade on the 2013 GR model, the camera offers a 16.2MP APS-C sensor and a fixed-focal-length lens, whose 19mm focal length produces an effective 28mm-equivalent focal length.